Originally from Nanjing, China, Wang briefly lived in Canada with her academic parents at the age of eleven. “I really liked the change in the educational environment, especially the art and music classes,” Wang says. It was from that early exposure that Wang later decided to apply for scholarships to attend American liberal arts colleges, choosing to study English at Kalamazoo College in Michigan. There, she took a documentary class, finding a new way of connecting to the stories she had spent her life reading, writing, and analyzing. “I was very intrigued by the class. Even though I had never done any sort of production before, it immediately aligned with storytelling, and made me engage with the community,” Wang says. Wang’s discovery of the simultaneously personal and yet very universal stories she could tell through documentary film took her back to China in 2012, where she filmed her undergraduate thesis project, Some of Us. In it she explored what it meant to be a feminist in her home country, looking at the perspectives of college students, academics, and rural farmers. “I wanted to extend a conversation about feminism,” Wang says about her film, which was screened at the China Women’s Film Festival. As Wang came into her own, working with the faculty and students in the 547 class, she began editing one statement-making documentary after another. Among them are There Goes the Neighborhood, a story of one African American family’s struggle with the gentrification of their upper-middle-class Los Angeles neighborhood. It screened at the LA Film Festival, Pan African Film Festival, New Orleans Film Festival, American Documentary Film Festival, DOCUTAH, and won Best Documentary at First Look 2017. 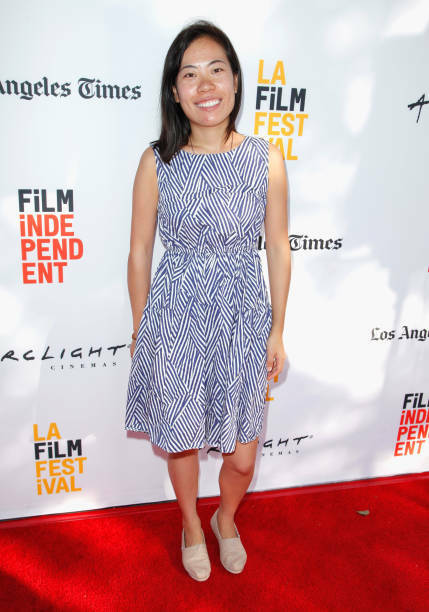 Wang also worked on Finding Home, Episode Brandon, the personal and touching story of a young attorney who is coping with the life he left behind in China to find an accepting community in Los Angeles. It screened at DOC NYC, Hot Springs Documentary Film Festival, OUTFEST, Asian American International Film Festival, and won Best Documentary at First Look 2018. The instruction of SCA’s incredible faculty led Wang to work as an assistant editor on Foster, a documentary feature in partnership with HBO, directed by three-time Academy Award winning filmmaker Mark Harris. “The connections I made at SCA are the foundation of the work I do now. My directing professor, Mark Harris, hired me to work on his film. That helped me to get to know more people in the industry, and moving forward I know that I will benefit from the relationships I have cultivated,” Wang says. Wang is currently editing Sundance-winning filmmaker and SCA professor Lisa Leeman’s new documentary feature, Trans*Formend, which recently received a Sundance Production Grant. Wang is able to recognize and illuminate the personal struggles of many different groups of people because she finds the commonality in her own life. “A part of it comes from being an English major. I have always loved learning about different kinds of stories and experiences,” she says. There are still many stories for Yongle Wang to tell as she moves forward in her career. Her hope is to always bring great projects into the world, and have a role in illuminating stories that need to be told. “I want to be a part of good stories, here and in China. There are a lot of very important narratives that have not been told in China, and perspectives that have not been seen,” she says. When thinking about her future as a filmmaker in the documentary world, Wang’s hope is that, “People take the time to watch, listen, observe, and understand. I hope people expand their perspective and awareness, and achieve more understanding between one another. With the impactful work that Yongle Wang has already made in her young career, we are incredibly excited to see what stories she continues to tell! “I am constantly reminded not to be satisfied with what I have done!” she says.